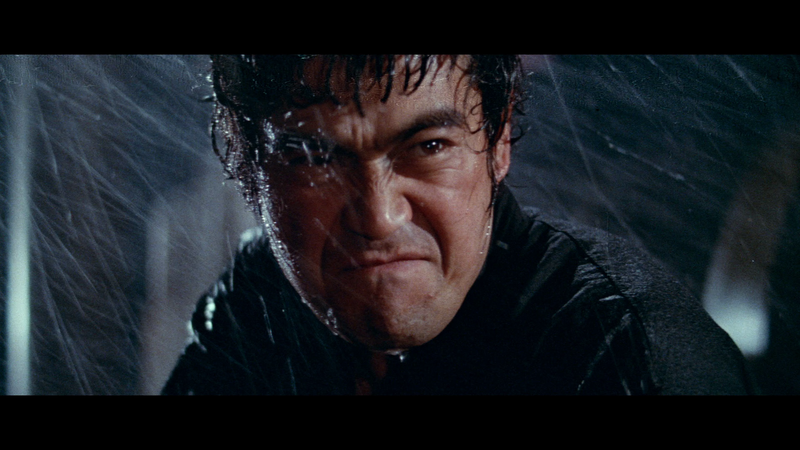 Plot Synopsis: Martial arts master Terry Tsurugi (SONNY CHIBA) may be an assassin-for-hire, but when he hears of a plot to kidnap Sarai (DORIS NAKAJIMA), the daughter of a dead billionaire, he offers her protection. As he attempts to keep Sarai safe, he also deals with a pair of siblings who refuse to pay up after Terry helps their convicted brother escape from prison. But it’s Sarai’s life he cares about, so when the mobsters manage to steal her away, Terry will battle whoever gets in his way to rescue her. 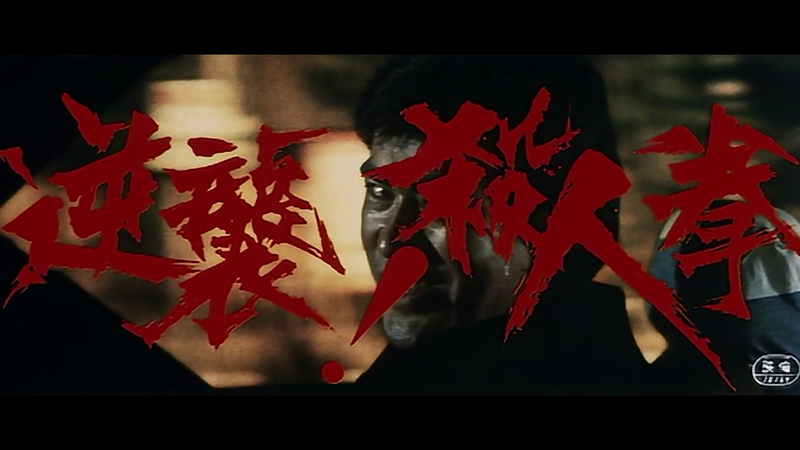 Plot Synopsis: When the wrong people find out about the illegal activities being conducted by yakuza big shot Otaguro (HIROSHI TANAKA), he calls in master street fighter Terry Tsugury (CHIBA). Tsugury’s assignment is to kill the would-be informants, a task he initially accepts. However, when Tsugury realizes that one of his intended targets is a friend (MASAFUMI SUZUKI), he finds himself facing a dilemma: Should he carry out his orders or fight back against the yakuza? Plot Synopsis: Terry Tsugury (CHIBA) is a street-wise thief who agrees to help an underworld crime boss (AKIRA SHIOJI). For a fee, Tsugury will steal back a set of cassette tapes that contain precise instructions on how to manufacture cheap heroin. But when he realizes he’s been double-crossed, Tsugury makes off with the tapes. With a deadly assassin (Frankie Black) on his trail and an ever-widening circle of people he can’t trust, Tsugury finds help in a mysterious agent (ETSUKO SHIHOMI). 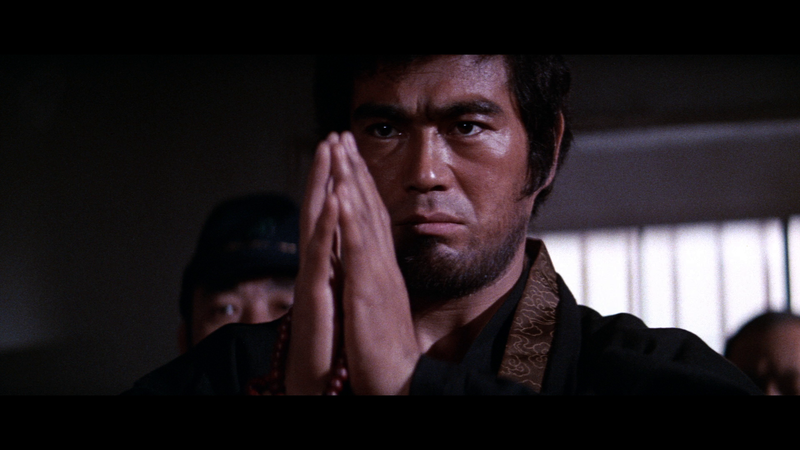 Review: Admittedly, I’m not much of an expert, or generally a fan, of pure martial arts movies. So this Street Fighter Collection is really my first significant foray into the genre and although it is quite over-the-top in its acting, I did quite enjoy The Street Fighter, mostly for some wonderful, if not ghastly, bloody violence. For one, our main character, Terry Tsurugi, rips a guy’s junk out and in the climactic scene, rips another’s throat. Also kind of appreciated that Tsurugi did haven’t much in the way of a moral compass, though it is a double-edge sword when you in large part kind of root for the villain, in this case a guy seeking revenge for the of his brother, not to mention his sister whom Tsurugi more or less sold. This three-disc release comes housed in a standard Blu-ray case which side-slides into a matted slip cover. Obviously the highlight here is Chiba’s interview who goes through his career, how he became an actor and his work on The Street Fighter series. Also included on the disc are the U.S. (2:26) and Japanese (3:00) Theatrical Trailers and a Still Gallery (6:32). U.S. Theatrical Trailer (2:10), U.S. Teaser Trailer (0:33), Japanese Theatrical Trailer (3:02) and a Still Gallery (3:02). This disc contains both the U.S. Cut and Japanese Cut, which runs about 4-minutes longer. The only features is the U.S. Theatrical Trailer (3:06), Japanese Theatrical Trailer (3:04) and a Still Gallery (1:37). All four films have been given, in part, new 2K scans from the original film elements (other footage were old HD transfers_ and outside of the third film where four minutes from the Japanese Cut were in standard definition, they all are presented with a 2.35 widescreen aspect ratio and a 1080p high-definition transfers. For the most part the Street Fighter movies do look good, detail is sharp and it appears the film grain and noise was left intact. Only downside, there were still dust marks and specs were noticeable, especially against any black backdrops. 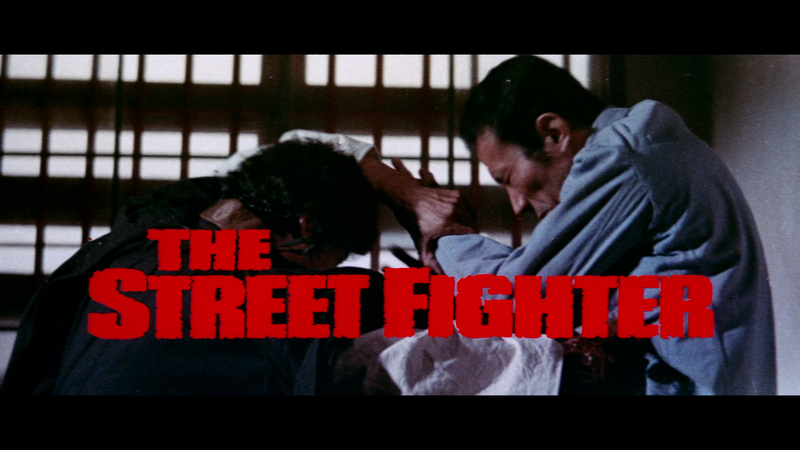 The first two Street Fighter films received both Japanese and English-dubbed DTS-HD Master Audio Mono tracks while the final movie is just a Japanese-language track. In any case, these tracks do sound quite good, especially for both being relegated to the center channel and for its age, going on 45 years and perhaps a rigid budget that didn’t include a top-notch sound department. 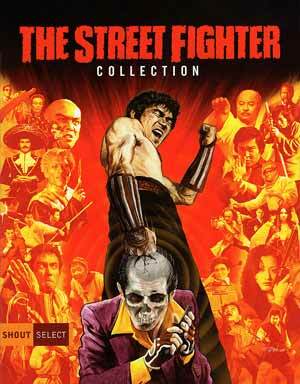 Overall, The Street Fighter Collection is a decent introduction to the martial arts genre and while none of them are truly ‘good’, I did find the first movie to be a lot of fun, the third one being so-so while the sequel was rather dull. 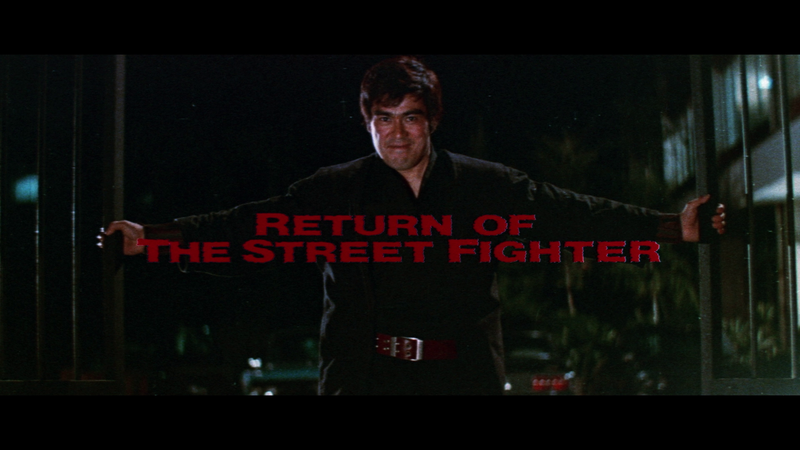 The set itself isn’t filled with amazing features, but the new interview with Sonny Chiba was well worth watching and the video/audio transfers were solid.